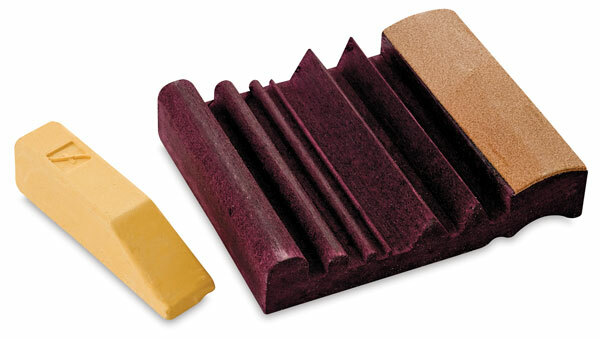 Maintain the razor-sharp edges of your carving tools with the Flexcut SlipStrop. Thoughtfully designed for polishing and deburring those hard-to-reach areas on the inside of V-tools and gouges, the SlipStrop makes short work of polishing outside edges as well. The SlipStrop includes a small bar of Flexcut Gold polishing compound and detailed instructions. ® Flexcut is a registered trademark.™ SlipStrop and Flexcut Gold are trademarks.